Koi fish and other types of goldfish can amass in size considerably, with their length sometimes exceeding 3 feet! This, naturally, asks for a pond of the appropriate size with a powerful filtration system and frequent water changes. The whole process is immensely rewarding, as having a pond with these gorgeous creatures can be a lot of fun. Check out our simple, step-by-step guide and see how it’s done. Begin by measuring the pre-made pool and dig up a suitable hole for your pond, adhering to the measures you jotted down. The best place to put it is a nice and even ground. Lower the pool into the hole and make further adjustments. Remove the extra soil or fill up the empty space between the ground and the pool edge to prevent the sloppy layout. The idea is to insert a pool so it fits like a glove. What remains is to treat the pool with protective spray and let it dry for about five hours. Make sure the water you put inside is dechlorinated tap water or ideally, a fresh spring water. The way to make use of the city supply is mixing the a few drops of dechlorinating agent and blending it with a net. Fill up your pool with around 80% of water, no more. Next comes the gravel. Make a flat layer of it across the bottom. We mentioned this above, and that is the good bacteria ingredient. Use around 1 ounce and wait for an hour to spread. Next, arrange your plants around the pond premises. Consider utilising water lilies for the extra flare. Insert the filter and let it work for around 30 minutes. Finally, add a gorgeous kaleidoscopic selection of koi fish and have fun with your water dogs (they’re so endearing, they’d even play with you). 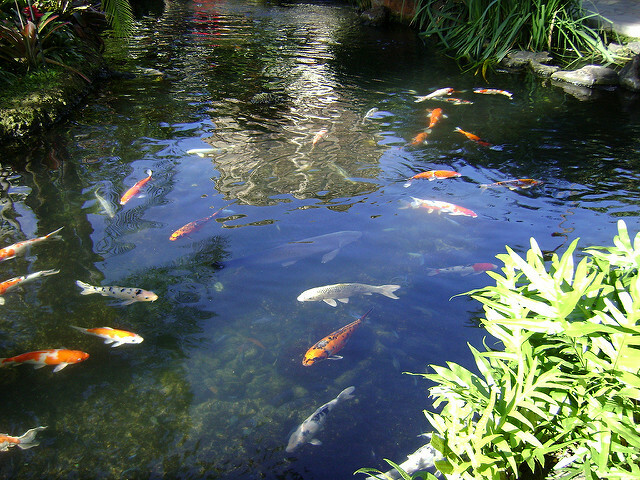 Koi fish are infamous for producing a lot of waste that gets deposited in the pond. To evade having a dirty and clouded pond water, your cleaning system has to contain a filter and a pump. For example, classic sand filters for swimming pools can’t do the trick here, as the amount of waste koi produce is much bigger and could clog the filter in no time. Instead, go for a bio filter or a cartridge and be at ease. For large-scale ponds, an ozone generator aperture may also be of need. 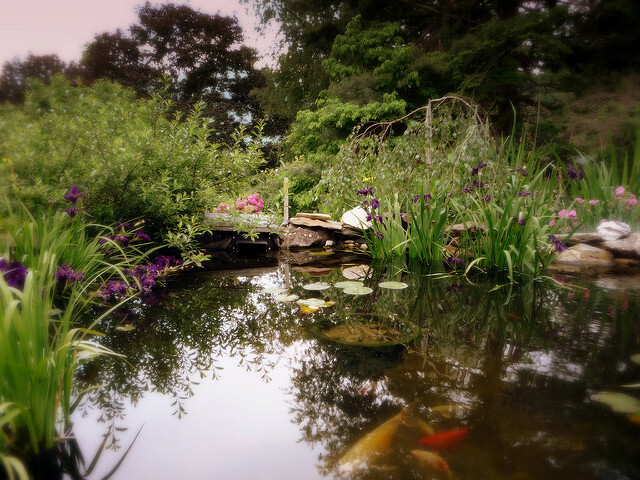 The ozone is natural sanitiser and oxidizer, and can keep your pond pristine via environmentally-friendly method. It’s very important you have the suction points separated for the pipework system, say Sydney-based pros dealing with blocked drains. The existence of several suction ports for the pump could prevent the koi fish getting trapped and harmed. Now, if you’re on a tight budget, you can get away with floating filter for a while. This is a cost-effective option that works well as a temporary substitute. Still, don’t install it if you can’t save up for a quality replacement. Some types of bottom feeding fish and aquatic snails are excellent at evicting algae from the pond’s gravel floor. Still, you should be on a watch-out for the snails as they reproduce fast and may overpopulate the pond. The store bought ponds come in thick acrylic and thin dark plastic variant. Stick with the thicker option as its floor is much durable and less prone to leakage and dents. 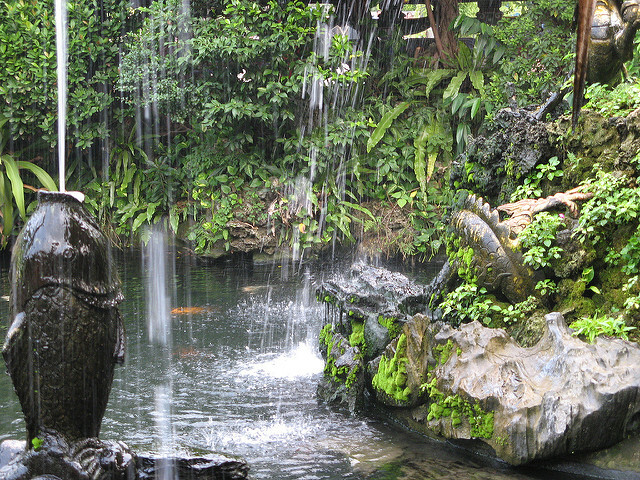 Making even the smallest of koi fish ponds will give your garden a wow factor act as your private natural resort. With our tips, you’ll master the building procedure.